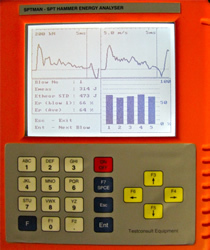 HOLEQUEST have an in-house calibration equipment and test facility for all standard penetration testing systems. 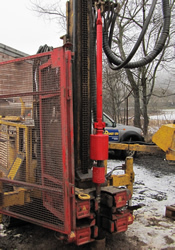 BS EN ISO 22476-3 states that that the hammer energy has to be known and a certificate of calibration available, especially where ‘N’ values are to be used for the quantitative evaluation of foundations. Checks on SPT systems should be carried out on a 6 monthly basis or after damage / repair. Clients have the option to request a calibration prior to the commencement of a project. 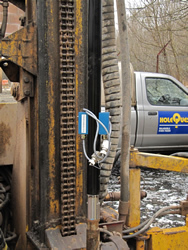 HOLEQUEST use the SPTMAN system provided by Testconsult - who have provided certified training for our operatives.